Marvel Studios has not let up one bit with prepping new films for more characters in their universe. We do know that we will be getting a treasure trove of new superhero films over the next few years, which will lead up to ‘The Avengers 2‘ in 2015, which Marvel is calling Phase Two. I guess Phase One started with the first ‘Iron Man‘ and ended with ‘The Avengers‘. Phase Two will have ‘Iron Man 3‘, ‘Thor 2: The Dark World‘, ‘Captain America: The Winter Soldier‘, ‘Guardians of the Galaxy‘, and ‘The Avengers 2‘. Not a bad couple of years for Marvel. I expect a few billion dollars will be made from these films. 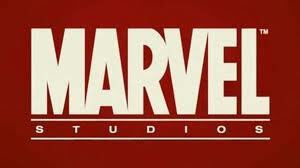 However, Kevin Feige over at Marvel has given us some information about Phase 3, which will start in 2015 according to MTV. Feige went on to talk about another character planned for Phase 3. 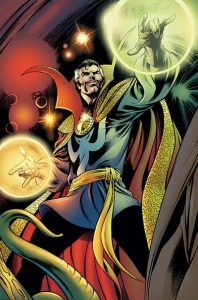 That being Doctor Strange. WOW. Just wow. This is going to be epic. 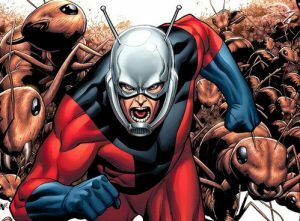 This entry was posted on Monday, January 28th, 2013 at 1:24 pm	and is filed under Comics, Film, News. You can follow any responses to this entry through the RSS 2.0 feed. You can skip to the end and leave a response. Pinging is currently not allowed.